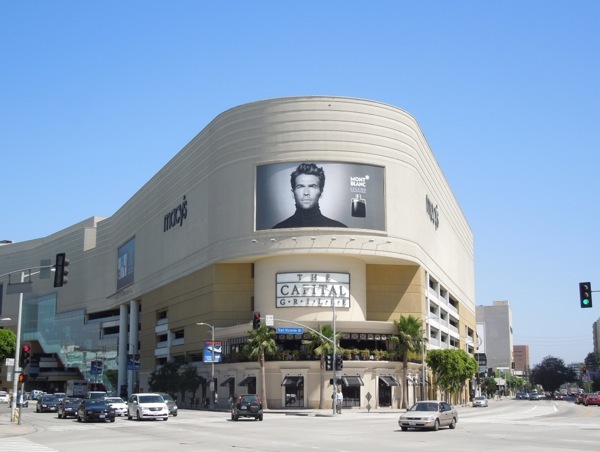 Today it's another Battle of the Billboards, where competing products and brands duke it out for supremacy in the skies of L.A. (think of it as the Hunger Games of outdoor advertising). 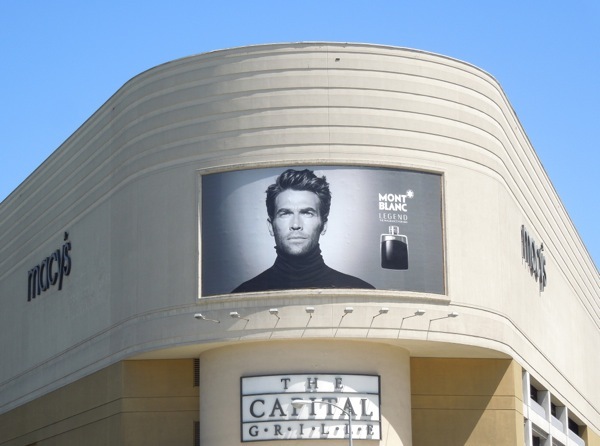 In today's virtual arena are two fragrance billboards for men, both in stylish black and white, battling it out for your hard earned cash. 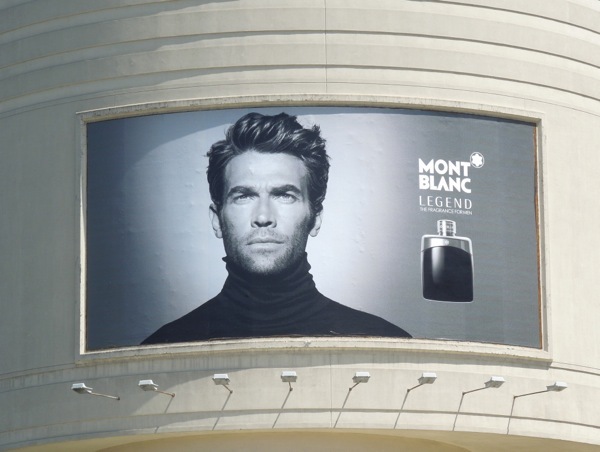 British model Simon Clark looks ruggedly handsome in mono for Mont Blanc's Legend fragrance billboard and is certain to turn heads in this great location looking out from L.A.'s infamous Beverly Center shopping mall. 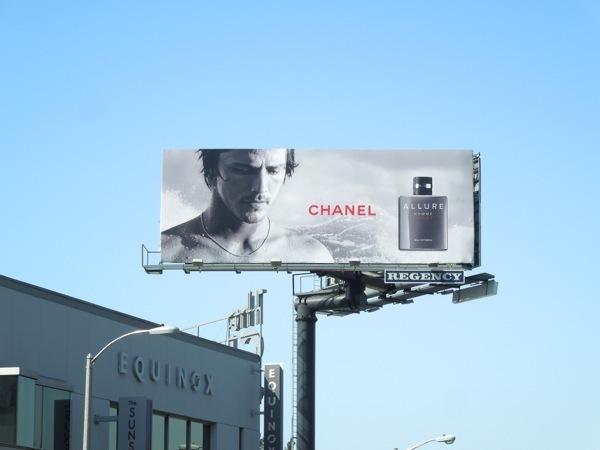 Meanwhile extreme professional surfer Danny Fuller looks more youthful and sportier in this refreshing billboard for Chanel's Allure Homme Sport Eau Extreme scent. 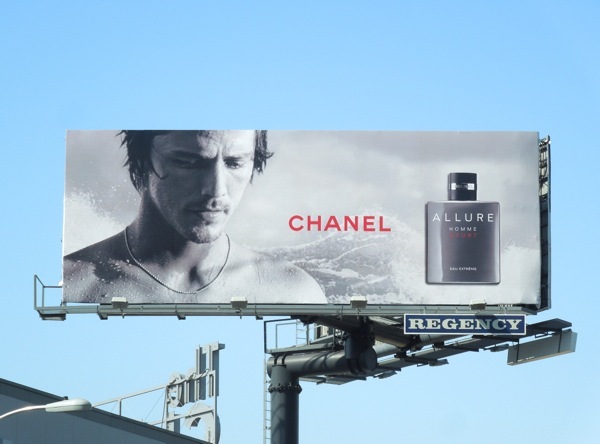 If you like the new Spring/Summer 2013 Chanel billboard, be sure to also check out Danny Fuller's Allure Homme Sport ad from 2012, which was shot by Zero Dark Thirty director Kathryn Bigelow. Daily Billboard believes if you were a man and didn't want to go out with either of these gents, then you'd certainly want to smell like them and portray the same image. 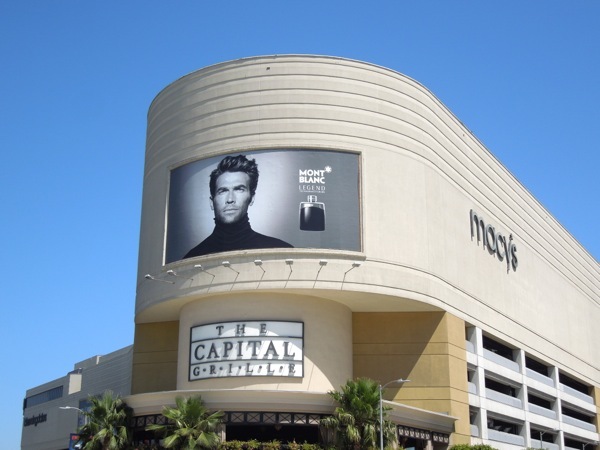 The stylish and sophisticated Mont Blanc Legend fragrance billboard ad was snapped on the corner of San Vicente and Beverly Boulevards on June 18, whilst equally evocative Chanel Allure Homme Sport cologne billboard was spotted in the skies of L.A.'s Sunset Plaza on July 2, 2013. 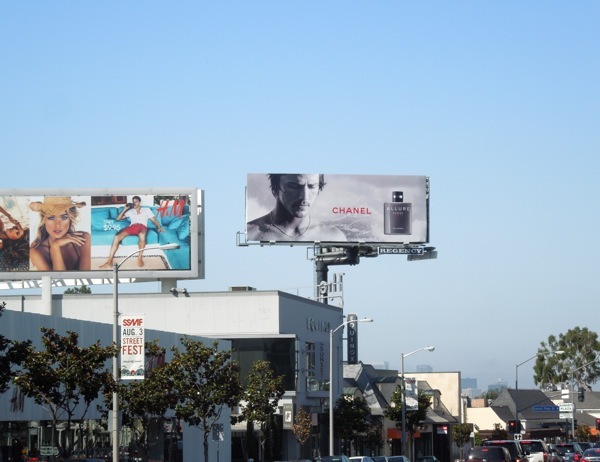 If you like these billboards, be sure to take a look at these other impressive designer fragrance ad campaigns here at Daily Billboard. Finally, which is your favourite ad? In your opinion is Mont Blanc or Chanel the winner in this round?